VoiceSense is a text and language independent biometric speaker verification system that verifies the speaker’s identity in real time using a simple spoken phrase. Everyone has a unique voiceprint and the ubiquitousness of computer microphones and mobile phones makes the voiceprint authentication an ideal two-factor authentication system for web and telecom applications. VoiceSense is designed to add additional security layer to the desktop and web logon procedure with convenience. It allows access to local desktop computers and remote web applications in an easy, fast and secure way by using any standard microphone. VoiceSense is one of many authentication methods supported in the DualShield unified, multi-factor authentication platform. Combined with the user’s password and/or security token, VoiceSense can be deployed to provide 2-factor or 3-factor authentication, i.e. Something the user is (e.g. voice, face, keystroke pattern). Free Speech - The user is free to say anything while the verification is taking place. One-Time Password - The system asks the user to repeat a random phrase - a one-time password. This mode prevents the replay attack. VoiceSense is also totally independent of the language and accent that the user speaks in. VoiceSense system can adapt voiceprints over time to take into account the ageing effects on an individual's voice. The enrollment of VoiceSense is simple and short. During the enrolment, the user is asked to speak freely (Free Speech mode), or to repeat a selection of keywords provided by the system (One-Time Password mode). This one-time enrollment process takes less than one minute, and a unique voiceprint is then created for the user. The authentication process is equally simple and brief. When the authentication is needed, the user is asked to speak freely (Free Speech mode), or to repeat a one-time password provided by the system (One-Time Password mode). 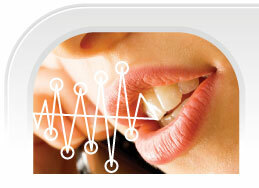 A real-time voiceprint is then created and compared with the voiceprint stored in the system's voiceprint repository.